WineDirect Point of Sale Hardware Bundle 1 is compatible with WineDirect POS Software for Wineries & Cellar Doors. 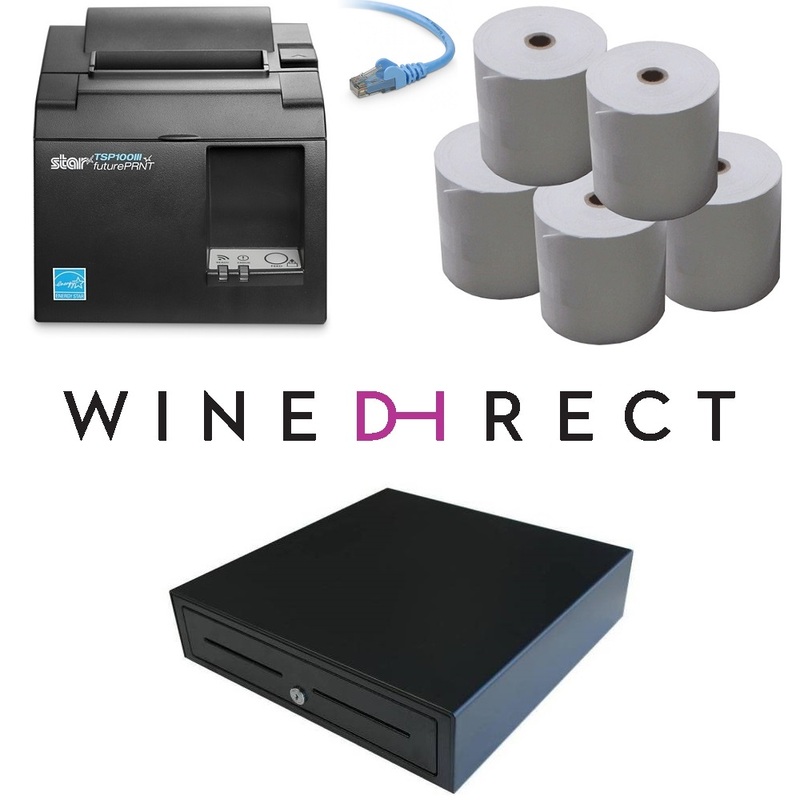 WineDirect POS Hardware Bundle with Star TSP143III LAN Ethernet Printer suitable for Vin65 POS Software. Compatible with VIN65 using iPad / iPhone / iPod / Android devices. The Cash Drawer is a solid steel cash drawer perfect for all Point of Sale Environments. By adding the under counter brackets you can easily mount the drawer giving extra security and make the installation neat & tidy.